Please visit AnthonStMaarten.com for rates. Please visit AnthonStMaarten.com for bookings. Discover your destiny, explore the future, know the truth, find real answers and change your life. Anthon St. Maarten is an international psychic medium, destiny coach and author of the bestselling book Divine Living: The Essential Guide To Your True Destiny. Anthon's psychic reading and consultation services are offered online via Skype or by phone to clients globally. 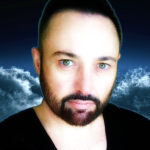 Anthon St Maarten has been consulting professionally as psychic medium since 2004 and he has since established himself as a trusted advisor to many people all over the world, including prominent business leaders, celebrities and politicians. Anthon offers a leading-edge metaphysical consulting service aimed at individual and organizational transformation. His services are available online, by phone and via video conferencing as well as in-person. Live your life by design using spirituality and metaphysics. Identify your true life purpose and calling, change your destiny, achieve personal fulfillment, and attract lasting success and happiness. Reach beyond the confines of standard life coaching to create and attract the relationship, career and lifestyle you originally intended to have when you came into this world. Discover the truth about your partner and the future of your current relationship. Release the pain and trauma of past relationships. Explore the mystical power of higher love and sacred romance. Manifest your soulmate and attract the intimate relationship of your dreams. ​Learn to harness universal spiritual laws and apply metaphysical tools to create and attract the ultimate love connection and find your ideal life mate. For more information visit Anthon's official website. This was my second session with Anthon and I must say that his mediumship skills are absolutely mind blowing! No psychic ever has been so accurate to details! Thank you Anthon from the heart for your practical and intuitive advices, your gift is invaluable! Anthon’s reading came into my life at exactly the right time. As soon as I picked up the phone I knew this reading was much needed and I was right. Anthon is a straight shooter and I love that. He confirmed all of the signs, thoughts and feelings that I have been receiving from my angels and the universe without me even saying anything. Our conversation left me feeling confident in what steps to take next to create a life filled with greatness, joy and service. Thank you so much for being born. I recently lost my grandmother and was desperate to connect to something that would let me know she was ok. The moment I spoke to Anthon he picked up on that and was able to connect me with my grandpa. He not only gave me confirmation he also tapped into my business as well. I was blown away by Anthon and will be calling again. I have also made all my family members schedule and appointment :) Thank you Anthon !! You are amazing . Anthon is incredible! He was able to offer great insight, and the way he delivered the message took it far beyond the parameters of the situation. His candor and wisdom, along with the accuracy of the information, made it a memorable session. I am happy to recommend him as a caring, wise, and accurate psychic. Thank you, Anthon! Like a compass pointing true north, Anthon has the ability to accurately determine my life's calling, as well as the skills to articulate this beautifully, honestly, and with humor. With much gratitude & Blessings to you. Thank you. Anthon did the best reading I've ever had. He was spot on with where I was at in life, he was very truthful not holding back, extremely clear and concise with telling me the direction I needed to go. He took his time to ensure I had a clear understanding on the things I needed to do to reach my life purpose. He gave me the clarity I needed to move forward in life. I met Anthon almost 2 years ago during a very hard time of my life. I had talked three more psychics until I talked to him. He said exactly opposite things that the rest of the psychics had said to me. I was disappointed, and did not believe that he said since he was not telling what I wanted to hear. I wish I listened him. He is a very intuitive,talented and caring person. His calming voice make you feel calm and he knows things! You will never regret, call him.Thank you for everything. Amazingly intuitive. One of the best reading I ever had. I will contact him again. Anthon has The Wisdom of The Ages. Not only does he provide practical answers, but he goes deep into the Spiritual, providing insight that will help you to help yourself. During my last reading, I could feel his healing energy then and during the next week. An awesome psychic and healer and highly recommended! I have had many readings with different psychics. But I was blown away by Anthon from the start. When I booked my reading I left an overall description of what area in my life I needed some clarity and as soon as we made the contact he already knew what specific issue I had and was actually describing it back to me. By the end of the session my fears had dissolved. I had my reading Feb 3, 2015 with Anthon St Maarten. He is an incredible , gifted psychic, with a depth to his soul not often seen in a younger man. I thoroughly enjoyed my reading . I have a lot to work on yet in this life and he helped me redefine my goals and purpose- all in the most empathic, kindest tone. Thank you for being you! The reading started off 5 minutes late, which was great for I was 5 minutes late to. Even the spirits ensured our time would match up. Anthon’s reading was only supposed to be 15 minutes, but turned into 45 minutes long. I was surprised by his ability and how accurate he is. What I really loved about Anthon was his voice, which was like mediating in a calm and peaceful place. Anthon relaxed me emotionally then charged me full of positive energy, which caused me to mediate twice that day. Thank you Anthon for an amazing reading. I was so amazed by the some of the information he knew about me that I had to ask myself after the reading whether there was any way he could have got access to it! I felt inspired and motivated by his predictions as they were an exact match to what I was already planning for my life. He gave me the confidence to proceed and I certainly plan to contact him again. Would highly recommend him to anyone. I can't thank Anthon enough for this mind blowing reading. He is an outstanding psychic with a great down to earth manner. Even 24 hours later the only thing I can say is wow. wow, wow, wow. He is 100% accurate, honest, helpful and friendly. I couldn't recommend him more. I bow to his gift. Thank you Anthon for your generous time and inspired guidance. As usual you exceed my expectations with your insight, integrity and accuracy. I feel very blessed to have had a reading with you. Thank you most of all for the markers along the way. It is inspiring to know that good happenings are on the horizon. Bless you dear heart. I had my life-changing reading with Anthon just over a week ago & it's taken me this long to process what happened to me in that 45 minutes. Quite simply, it broke me open; open to the possibility of creating my destiny, open to the fact that Spirit exists - ipso facto so does the Divine, open to the reality that this world is not the only reality, open, to the truth. This man is gifted beyond measure. I was a skeptic & now I'm broken open...God Bless Anthon & his Gift to the world! Thank u!! I have had the pleasure to speak with Anthon a number of times now, my first reading was a month after my Mon passed away- he brought her, her personality, her love and her words to me - I felt such comfort and gratitude. Since then I have reached out to him to find clarity with my divorce, my children, and my future happiness.. I can not say the words that express properly my feelings towards the talent of this man- he is kind, bright & accurate! Thank you Anthon for caring & helping! When I started speaking to Anthon, he asked me how he could help me and I told him I wanted to connect with a deceased loved one. He then told me that was all he needed to know. After that everything else he said just blew me away. He knew things that no one couldn't have known. He made me laugh, he made me cry with happiness. He brought me so much clarity. He is genuine. He has a rare gift and I paid for an hour but he took longer jus tot give me clarity. I am so so grateful. He is THAT good.